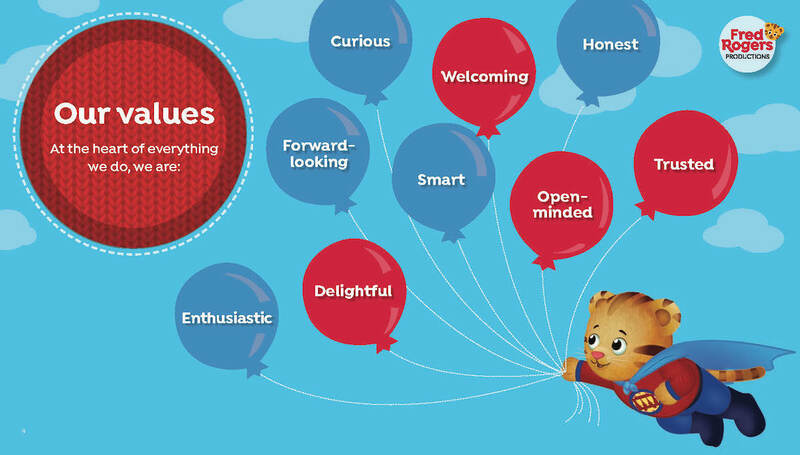 Since the 1960s, Fred Rogers has been widely loved and universally admired as everyone’s favorite neighbor, through his pioneering show Mister Rogers’ Neighborhood. 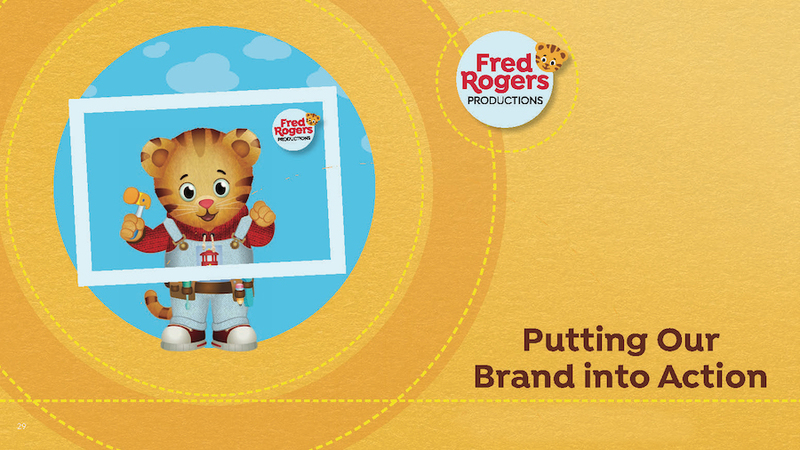 The Fred Rogers Company built on his legacy as an expert in children’s entertainment by producing a range of diverse entertainment properties, and recognized that a rebrand would position the company for future growth. 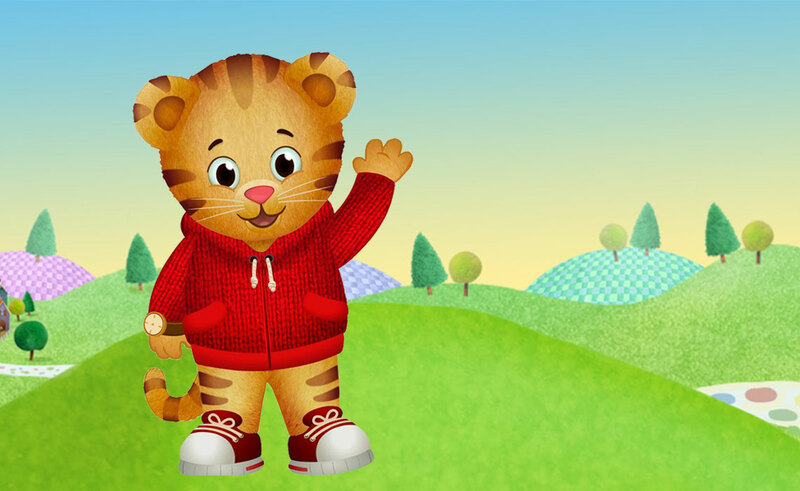 With research findings in hand—and a new name—we proposed strategically incorporating Daniel Tiger into the new identity as an official mascot, raising awareness and adding brand equity to both in the process. 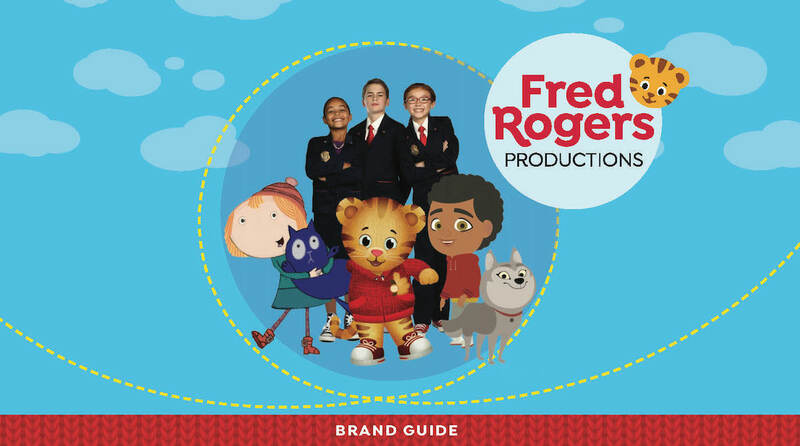 From this initial work, brand guidelines were developed, outlining the mission, values, and editorial voice of Fred Rogers Productions. 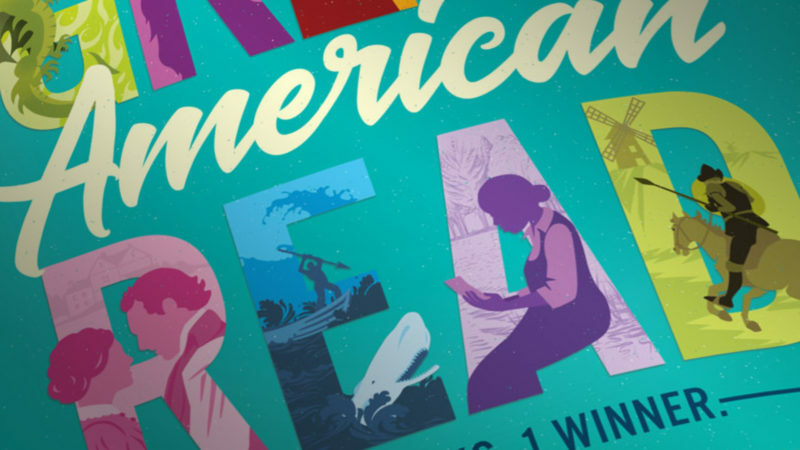 A full graphic system was created—including patterns, colors, backgrounds, typography, and design elements—which allowed for multiple animation and live-action properties to live under a single, cohesive branded look. 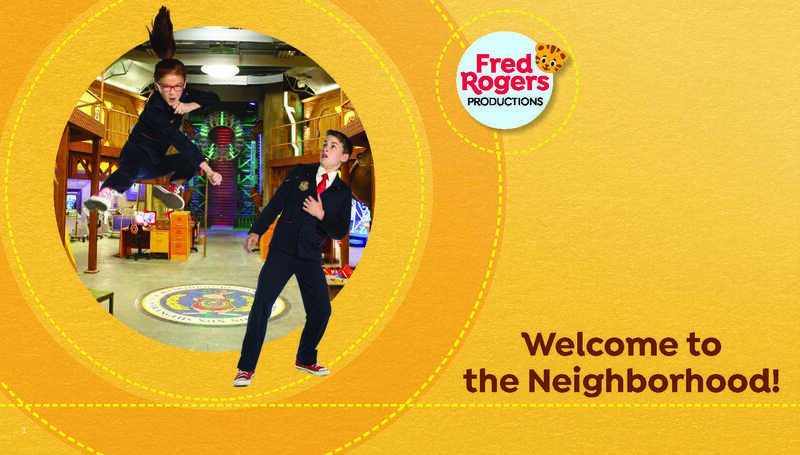 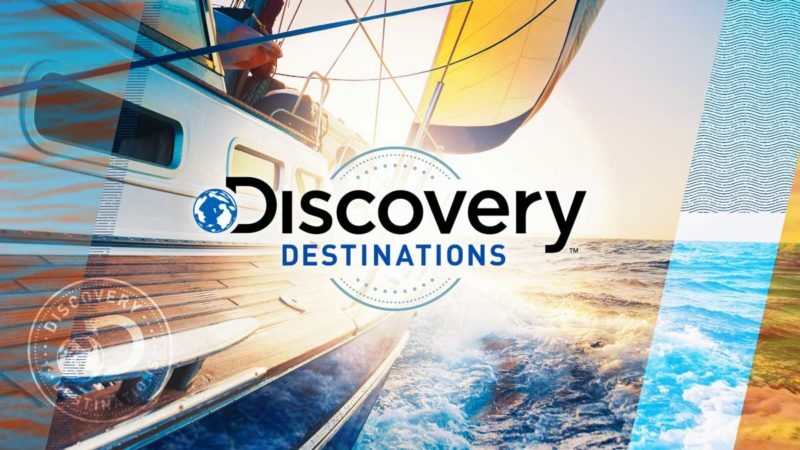 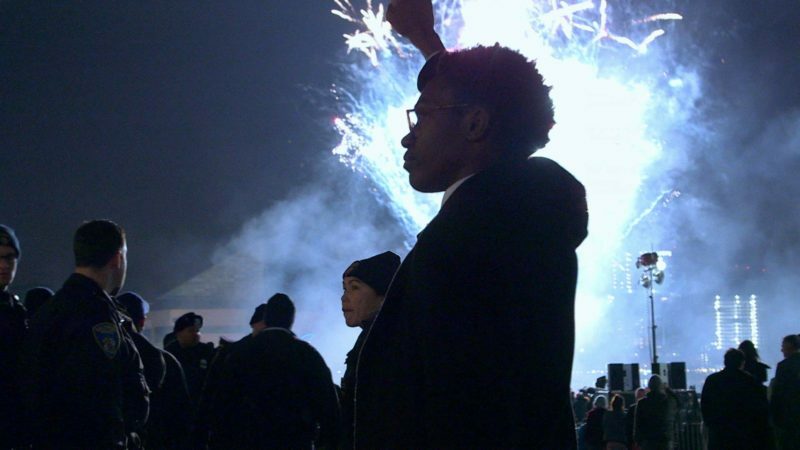 The rebrand was rolled out in 2018, a banner year for Fred Rogers, which included the 50th anniversary of Mister Rogers’ Neighborhood and a highly-acclaimed documentary Won’t You Be My Neighbor? 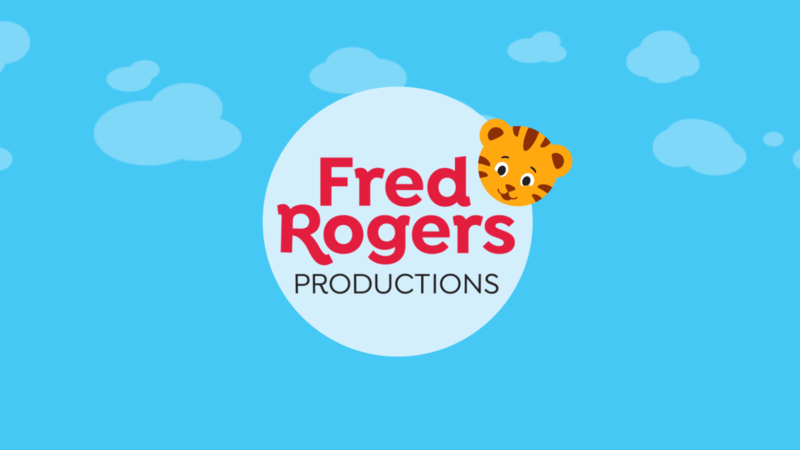 With a new brand in place, new shows, books, and games in the works, and the upcoming Tom Hanks-led film, A Beautiful Day in the Neighborhood, coming soon, the future has never looked brighter for Fred Rogers Productions—or Fred Rogers’ legacy.